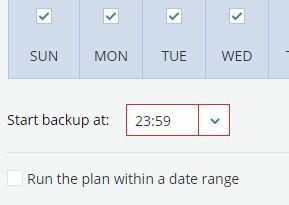 Nevermind why, I need to start backups at a very specific time, say 23:58. Why have you removed this ability in v12? When will this be added back? It is possible to set in backup plan. I only see 15 minute increments. See attachment. Yes, thats right, these are suggested values. You can enter your desired start time freely. It outlines the box in red and won't allow me to click Done. See attached. Seems to be related to "local time issue", try to set "11:59 PM". Hopefully it is fixed in next release. Yes, that works. Sure does seem like there are a lot of "fixed in next release" bugs. Did this product actually get tested by anyone? 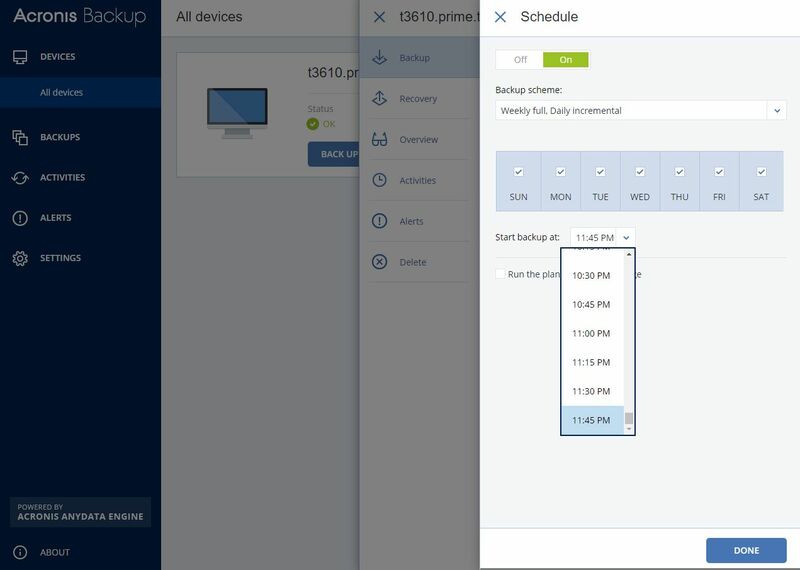 Sure seems like we're back to the Acronis v10 days when customers left in droves and the product was called one of the top worst products on the market. Me, personally, I never remember clients going back to v10, they went back to v9.5, but not 10 and v11 was even worse. Is there a list of bugs that Acronis expects to fix for the next build and an ETA on said build? 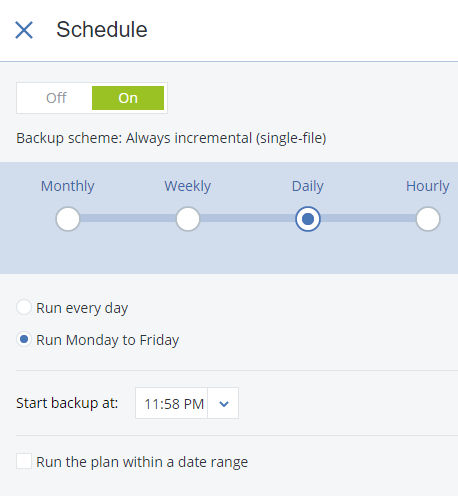 Also note that we've run open Beta program for several months before the release of Acronis Backup 12 and collected + addressed most of the feedback we've got.